By day, I’m a public relations professional turned social media strategist. 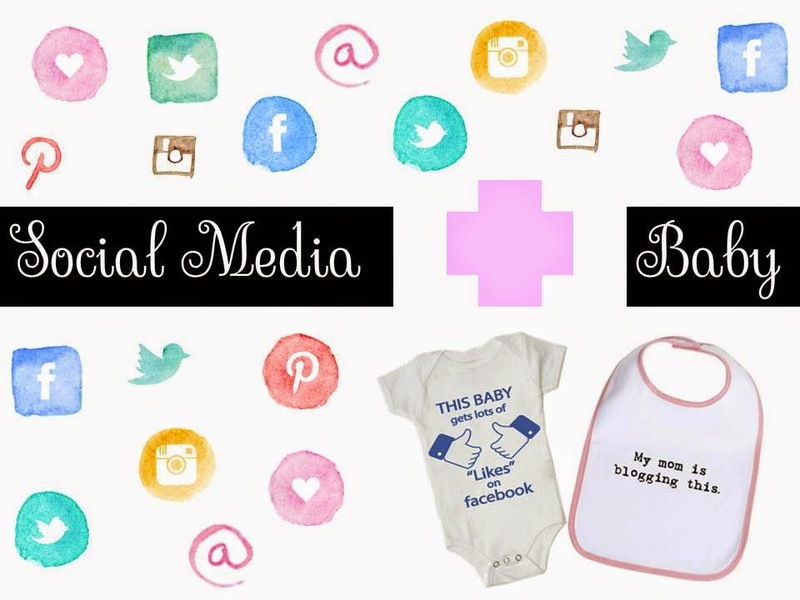 Given that social media is something that I live, eat, sleep, dream and breathe on a daily basis, when we found out that there would be a new addition to our family we had a discussion regarding social media. Would we announce that we were expecting via social media? What details do we want to share? What type of social footprint do we want to create for our child? Neither the hubs or I post much to our personal Facebook accounts. I haven’t updated my status in over a year nor changed my profile pic in almost two. I do use Instagram about 1-2 times a month and Twitter sparsely for random thoughts. The place I share most information is here on this little blog! So we actually aren’t the most social sharing people to begin with. Oh the irony based off of my occupation! We shared the news that we were expecting personally with family and friends - either in person, via text or even some snail mail cards. Some people may be finding out for the first time while reading this blog (sorry if we forgot to tell you - it doesn’t mean you aren’t important). I’ve decided to announce that we were expecting here so that I could talk about things related to this blog - shopping for baby and party planning! While things may certainly change once Baby Girl gets here, we’ve decided to share pictures and updates via a password protected Tumblr page that family and friends can check in on when they want their dose of pictures and updates. Even though my job title includes the words social media, I don’t believe there is a right or wrong answer about what to post online when it comes to babies and kids. I just suggesting discussing social media with your partner to ensure you are on the same page about what you want to share or not share!